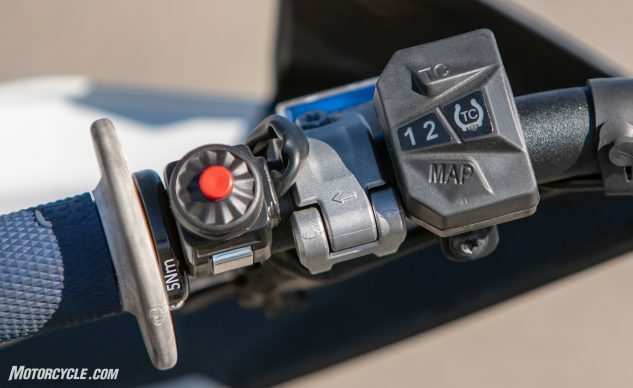 We’re entering a new dawn with dirtbikes when you start to find traction control and engine map buttons on the bar. On the other side lies the starter button. There is no key – so make sure you have somewhere safe to store the FS when not in use.